The credit card posts on Head for Points are focussed on the sign-up and ongoing bonuses that you can get for applying personally for the various loyalty credit cards. These are, at present, the easiest way to accumulate a large pile of Avios or other points quickly and cheaply. However, if you have a British Airways Amex or an Amex Platinum, Green, Centurion or Preferred Rewards Gold charge card, there are also attractive referral bonuses available that can make it attractive to get a card for your partner, parents or other close friend or relative, with you pocketing the miles! How can you take advantage of both ends of the bonus (assuming the card recipient agrees!)? With Avios, it is easy – you can issue a flight ticket for yourself from the others persons BAEC account, or form a household account with them and access their miles that way. 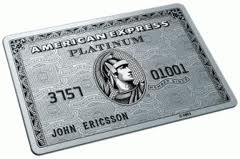 With American Express Membership Rewards points it is – whilst not openly publicised by Amex – usually possible to transfer them into anyones airline account, even if the names do not match. I have done this in the past with Nectar, Priority Club and Club Carlson transfers. Yesterday – after I had already drafted this post, as it happens – Amex changed the rules on referral bonuses for the Platinum and Gold card. You must now be a new customer to Amex to receive a referral bonus for these products, which unfortunately knocks out a lot of people who already hold BA, SPG, Nectar, Platinum, Gold, Centurion, Green etc Amex cards. (If you a supplementary card holder on someone else’s Amex account, then you are NOT treated as an Amex client and so you are OK.) What is not yet clear is how long you have to wait after cancelling your existing Amex cards to be treated as a new customer – I would give it at least six months. Verdict: OK deal. It is not clear if fee is refunded pro-rata if the card is later cancelled. However, as per the Cards Update page, there is an offer for 40,000 Avios for a new application anyway with no referral required. Verdict: A fantastic deal if you cancel the card quickly, since the £450 fee is refunded pro-rata to your membership period used. If you cancel after three months, for example, you will get £300-£350 back whilst retaining the 77,000 points. Only open to people who do not already have an Amex card. £40,000 income requirement. Verdict: A fantastic deal if you are nervous about cancelling a Platinum card and reclaiming the fee, as the card is free for the first year (£125 thereafter). Only open to people who do not already have an Amex card. £20,000 income requirement. In my view, the best deal here is for the American Express Platinum charge card as long as you are happy paying the £450 and then claiming a pro-rata refund after cancellation. (The T&C’s of the card confirm you can do this, so you are not asking for a favour by doing so.) You could earn 77,000 Membership Rewards points between you for, depending on how fast you cancel, around £100 of fee. The person you refer needs to have a £40,000 income to get the Amex Platinum card, though – if you can’t reach that, the Gold card only requires £20,000. Note that you must transfer your Membership Rewards points before you cancel the card, so there is a trade off involved as Amex occasionally runs 30%-40% transfer bonuses on transfers to Avios. The longer you wait for a transfer bonus, the smaller the fee that will be refunded to you when you cancel. Hmm, I was planning to move to the amex plat at some point in the future, but currently hold the BA amex, and an MBNA BMI amex. So I’d have to do without those for a few months before the introductory points were available? You wouldn’t need to give up the MBNA Amex – Amex are only interested in cards they themselves have issued. Would be interesting to know how long a break is needed. This is one of those questions which is often asked but never answered! Some comments on Flyertalk and Paid To Shop from people who have called Amex say they treat you as a new customer after six months from previous cancellation. I doubt you’d get that in writing, though. On this basis, I would say you will be fine if you have either of BA credit cards, as these are not ‘Charge’ Cards. My gut feeling is that they haven’t got around to changing this wording yet, since the wording on the main Amex site only changed yesterday. That said, if you take a screenshot and apply now you should (eventually) convince Amex to cough up!